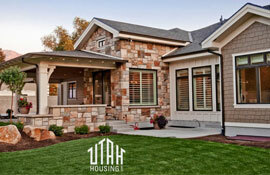 Under The Right Circumstances, Justin Basso May Recommend Financing Through A Utah Housing Home Loan. The Utah Housing Corporation was created as a public corporation by the state of Utah to assist in the creation of affordable housing for low-income households. The program is for first time homebuyers or someone who has had no mortgage payment for the last three years. Justin can answer your questions regarding this type of home loan and would be happy to assist you until you feel comfortable that you understand all of the ins and outs of the program.